Imogen's Typewriter. : Beauty Review: Dr Dennis Gross Alpha Beta Daily Face Peel! 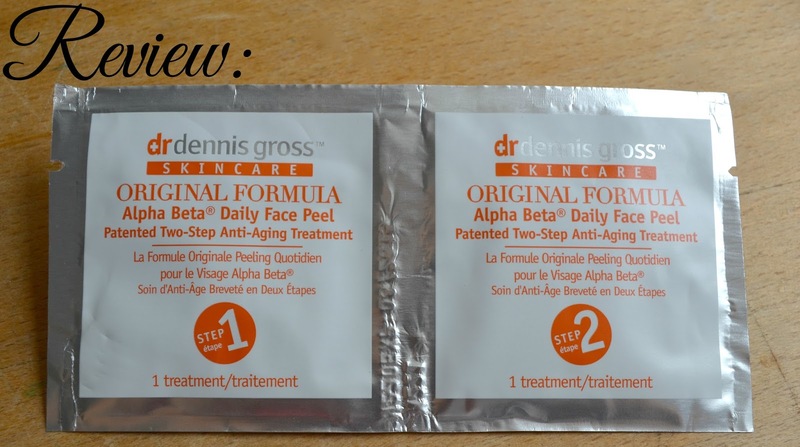 Beauty Review: Dr Dennis Gross Alpha Beta Daily Face Peel! So I've had this in my 'review box' for way too long. I actually had the Dr Dennis Gross Skincare Organic Formula Alpha Beta Daily Face Peel Patented Two-Step Anti-Aging Treatment* (try saying that ten times fast) for a year? But honestly, I was a little scared to try it. Dr Dennis Gross Skincare Organic Formula Alpha Beta Daily Face Peel Patented Two-Step Anti-Aging Treatment is a very intimidating name. But I finally woman'd up and tried it, and the results? Well.. I'll start by talking about the application which it was pretty simple. Each sachet had a square face wipe to apply in circular motions. I opened step one, followed the instructions and it tingled but wasn't uncomfortable. 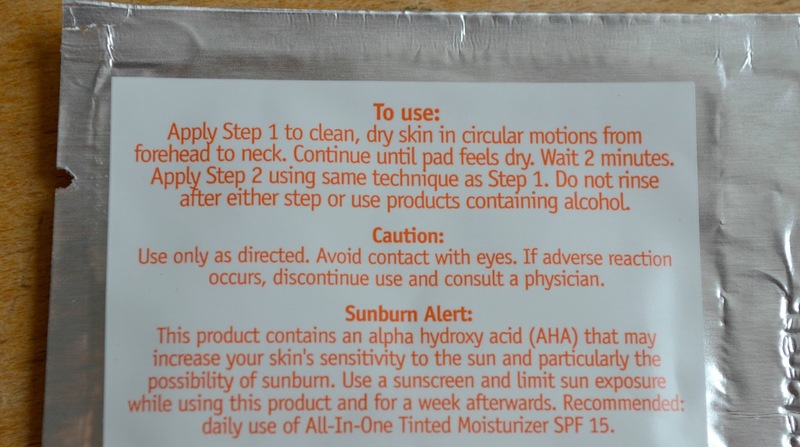 It stung as I went over my forehead for the second time but compared to some other face peel type products I've tried that burnt, it was fine. I waited two minutes, then went over with step two that seemed to be more cleansing. It had that kind of foaming feel some face wipes have so I presumed this was to neutralise step one. As instructed, I didn't rinse and waited about half an hour before slapping on some moisturiser. So what about the results? Well, my skin feels smoother. Thanks to my oil cleansing routine and just having alright skin in general I wouldn't say I had many complaints but the smoothness and brightening effect this has had is impressive. My skin is taking on moisturiser and other products really well and for the first time in a long time, when I put on foundation- my nose didn't have that flakey look I hate. But the million dollar question is- would I buy? Right now, no. I'm a poor university student and at £22.95 for 10, I just can't afford it. But it is going on my wishlist for when I- ya'know, have a job. The results for sitting and rubbing my face while watching Netflix was incredible and I can see these being really effective used over a couple of months. Have you ever tried the Dr Dennis Gross Skincare Organic Formula Alpha Beta Daily Face Peel Patented Two-Step Anti-Aging Treatment? Would you? *I received this in a goody bag at a bloggers event. Link is an affiliate link which means if you buy them, I get a tiny bit of money at no extra cost to you!